A relatively uncluttered look at FW Tower's "Cadillac Curve" in Buffalo New York, seen from the Seneca Street bridge. 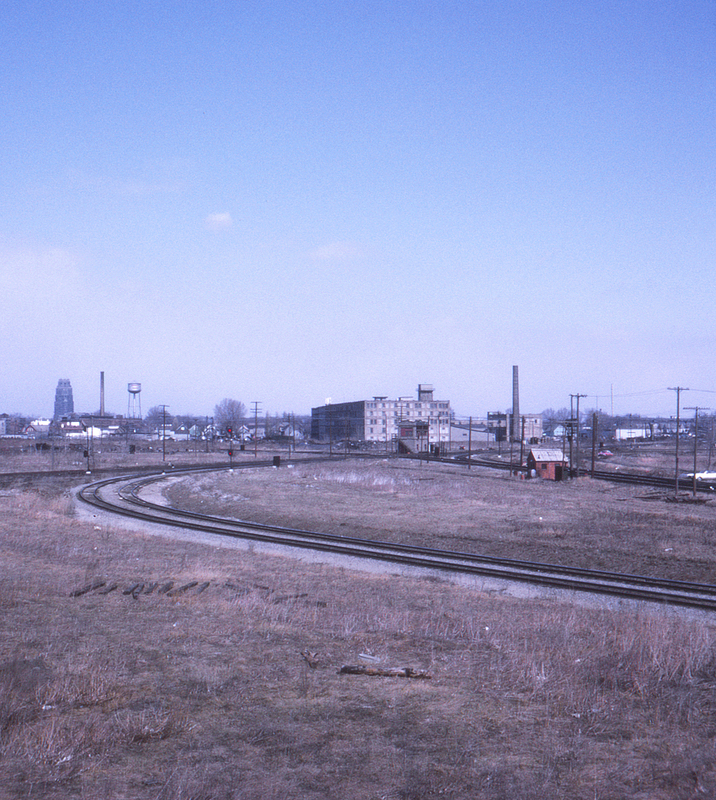 The curve provided a relatively large radius connection between the Buffalo Creek (used by Norfolk & Western) and the Erie. A careful look will reveal the Pennsylvania's line which cuts across the junction at an angle just past the BC/Erie diamond.